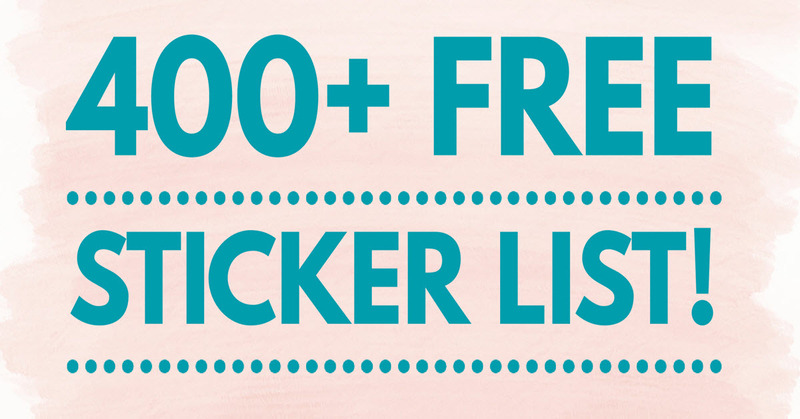 Home » FREEBIES » Be the 1st to GET THE 400+ FREE Sticker List! Be the 1st to GET THE 400+ FREE Sticker List! I have been working my tush off at this list and it’s ALMOST ready! I’m just putting the final touches on it. This is a list of over 400+ STICKERS you can request. I will release it 1st to my loyal follower ( YOU! ) on Friday [ maybe Saturday]. Be the 1st to get it by signing up below. If you don’t sign up you’ll have to wait longer! Be the 1st to get my list of over 400 FREE Stickers! I'm Ready for 400+ Stickers! Win a $200 Ray-Ban Gift Card & MORE! Thank you so much for adding me!!! I hope to win the sticker s… As I collect sticker s. My youngest son got me started back n 1998.. then he passed away n 1999. So it something I have kept doing..